In a relentless pursuit of releasing as many performance SUVs as possible, AMG revealed an all-new brute called the 2020 Mercedes-AMG GLE 53 4Matic+. 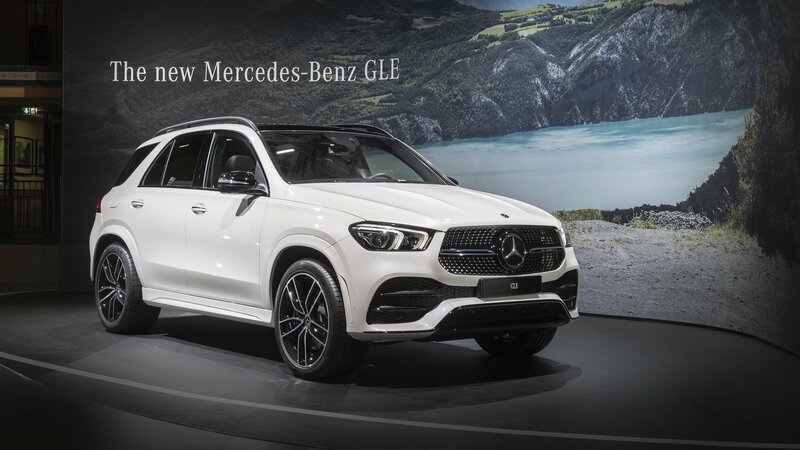 The mid-size performance SUV effectively replaces the 2019 Mercedes-AMG GLE 43 4Matic+, and it will be unveiled at the 2019 Geneva International Motor Show. The higher number in its name designates a more powerful engine, a super responsive electric auxiliary compressor, and an EQ Boost starter-alternator motor. 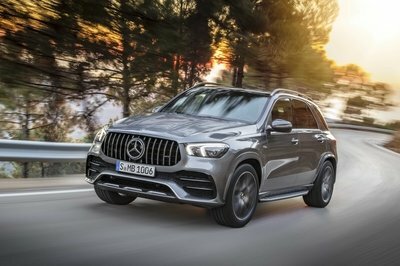 Mercedes is a manufacturer that really seems to love its high-riding SUVs, so much so that it basically has one for every size class of vehicle it sells, from A-Class-sized to S-Class, and its second largest offering is the GLE. An all-new GLE was recently revealed, and journos have had a chance to try it out. 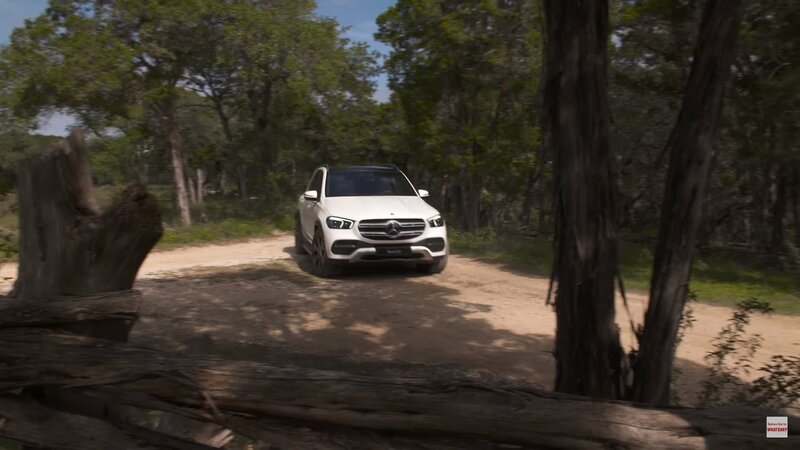 While most seem to just spend a bit too much time playing with the bouncy, active suspension, the new GLE is a serious contender in its segment. 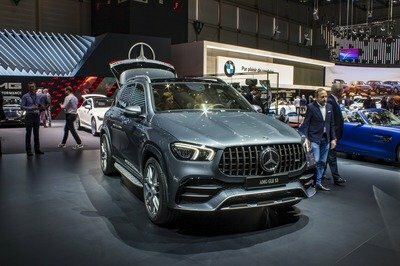 Mercedes has a strong presence at the 2018 Paris Motor Show, and one of its main offerings is the GLE-Class SUV. The SUV’s unveiling took place at the Hotel Molitor as part of the German automaker’s “Meet Mercedes” event. More than 400 guests were on-hand to witness the GLE’s world première, becoming the first group of people to see Mercedes’ new luxury SUV in the flesh. As a new model, the GLE is bringing a lot to the SUV table, including a new operating concept, a new engine lineup, and a suite of innovative driver assistance systems. The SUV will hit dealerships in the U.S. and Europe sometime in early 2019. Pricing details will be revealed closer to its launch date. We caught the new 2019 Mercedes-Benz GLE for the first time ever without camo. It appeared at the streets of Paris, only hours before the start of the Paris Motor Show. Of course, we took some photos. I can tell you now that this is what Mercedes-Benz probably prepared for the unveiling at the Paris Motor Show that starts tomorrow. 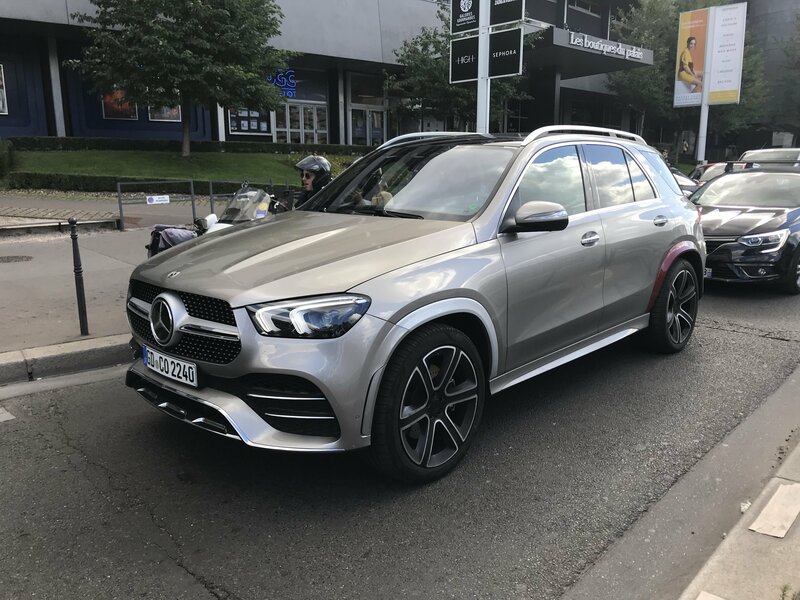 Out photographer in Paris noticed that this very 2019 GLE is actually the GLE 400E. That’s new. Up until this point Mercedes-Benz granted us with the studio photos of the GLE 450 4MATIC with EQ Boost. Introduced in 2015, the GLE nameplate is only three years old as of 2018. However, the vehicle that received the badge is already seven years old in 2018, a major issue with a brand-new BMW X5 in showrooms. Fortunately, Mercedes-Benz acted fast, and a new-generation midsize SUV was launched for the 2020 model year. It’s the first brand-new crossover to sport the “GLE” badge, and it’s loaded with as much technology as its sedan counterpart, the E-Class. Here’s what we think about it. Mercedes-Benz just spilled the beans on its brand-new 2020 GLE, revealing specs and pics of the luxury SUV’s latest and greatest bits and pieces. Let’s begin with the exterior, where we find the GLE is now even more SUV-like than before. Complementing the new look is a host of chrome embellishments, while intelligent LED lighting illuminates the way forward. The new looks is also functional, as the aero now slices through the atmosphere with a Cd of 0.29, a figure Merc claims as best-in-class. Under the flared arches, you’ll find wheel sizing ranging between 19 and 22 inches in diameter. The latest GLE also adds 3 inches to the wheelbase, which helps substantially with regard to passenger room. New for 2020 is six-way electric adjustability for passengers in the second row, plus 12.3-inch infotainment screens as standard with crisp 720p resolution. What’s more, the onboard systems now support gesture control, and offer semi-autonomous features like Active Stop-and-Go Assist, Active Brake Assist, and Cross-Traffic Assist. Under the hood, the base model GLE comes equipped with a 2.0-liter inline four-cylinder, which is turbocharged to produce upwards of 255 horsepower and 273 pound-feet of torque. Next in line is a turbo 3.0-liter six-cylinder making 362 horsepower and 369 pound-feet of torque. If you want even more of the go stuff, Merc is also sure to release the high-powered 2020 Mercedes-AMG GLE63 very shortly. A 4Matic AWD system makes the grip. Finally, the GLE comes with new E-Active Body Control active suspension system with a mild-hybrid 48-volt power source to keep it all shiny side up. Look for the 2020 Mercedes-Benz GLE to make its big public debut at the Paris Motor Show this coming October, with an on-sale date slated for sometime next year. A full update for Mercedes-Benz’s mid-size luxury SUV is well on its way, and Merc is building hype with an extremely brief teaser vid that gives us a glimpse at the GLE’s new CLS-inspired headlights. Although it received a new name for the 2016 model year, switching from M- to GLE-Class, Mercedes’ current midsize SUV is far from new. Sure, the facelift brought many updates inside and out, but the truth is that the GLE is already six years old as of 2017 and a bit long in the tooth. 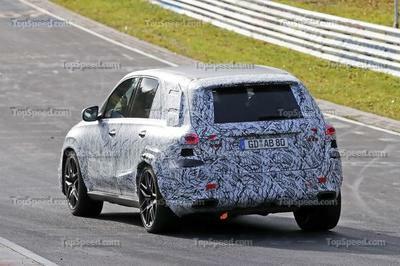 But this will change soon, as Mercedes-Benz is already testing prototypes of the next-generation model on public roads. The high-performance AMG GLE63 is the latest version to make contact with our paparazzi, on the iconic Nurburgring track. 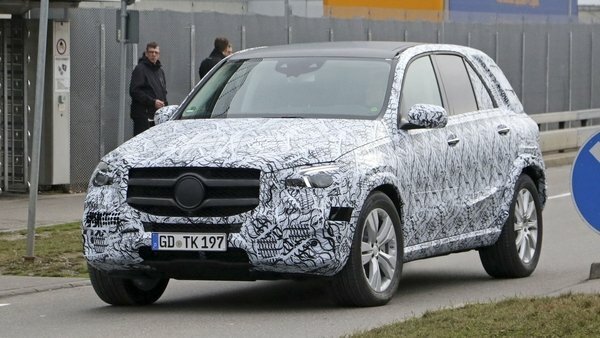 The new GLE is set to gain numerous and important updates, most coming from the E-Class sedan, on which it is based on. The AMG version will get similar upgrades, including an almost identical drivetrain to the AMG E63 four-door. There will be a big tech update, as well as significant gains in the performance department, due to a lighter curb weight and a more powerful drivetrain. 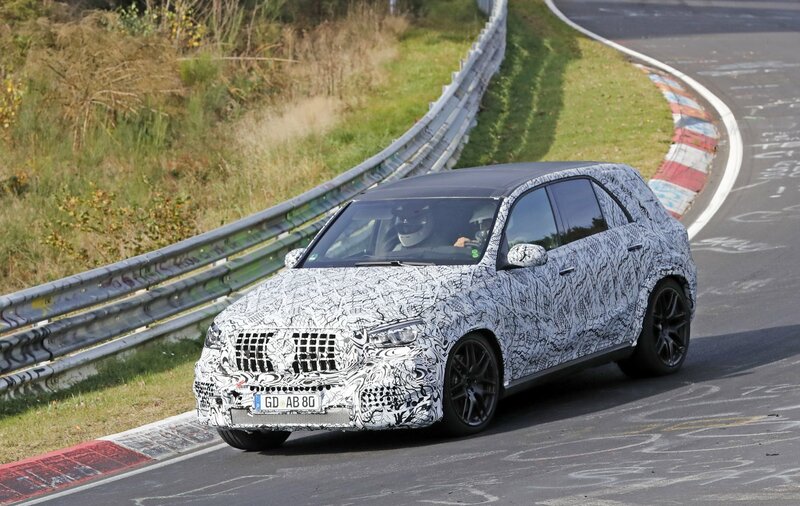 Details are still under wraps as of this writing, but the upcoming GLE63 isn’t much of a mystery since we already know everything about the AMG E63 sedan. Join me in my speculative review to find out more about this high-performance SUV. 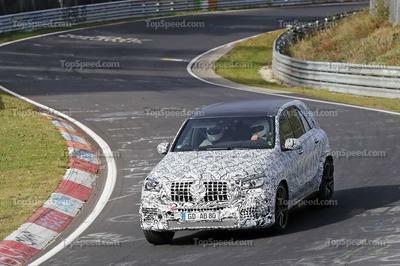 Updated 12/06/2017: Our spy photographers caught the upcoming Mercedes-AMG GLE62 out for a new testing session, this time around the famous Nurburgring track. Continue reading to learn more about the Mercedes-AMG GLE63. 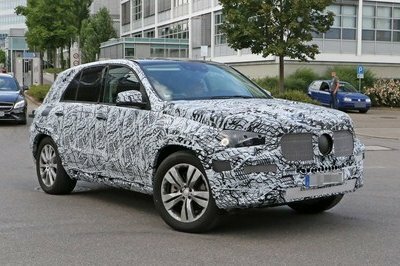 A quick glimpse at the camouflaged prototype is enough to conclude that the GLE will retain the overall shape and size of the current model. We can notice the same utilitarian stance mixed with sporty elements front and rear, as well as a number of new-generation styling cues. 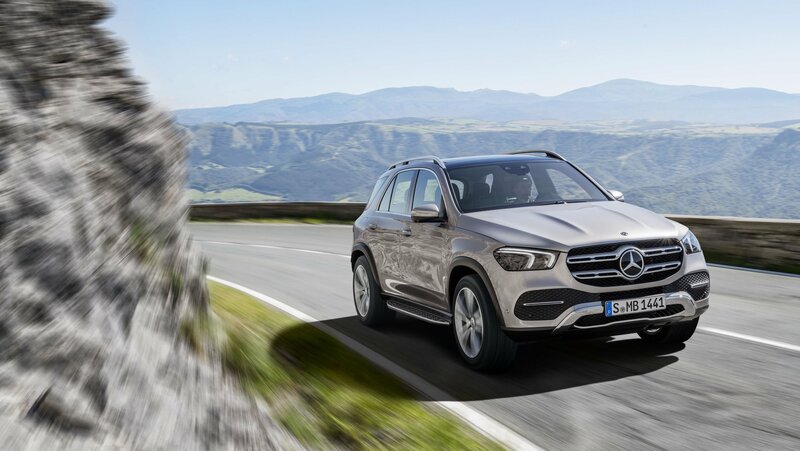 Up front, the SUV features a version of Mercedes’ new “Panamericana” grille. 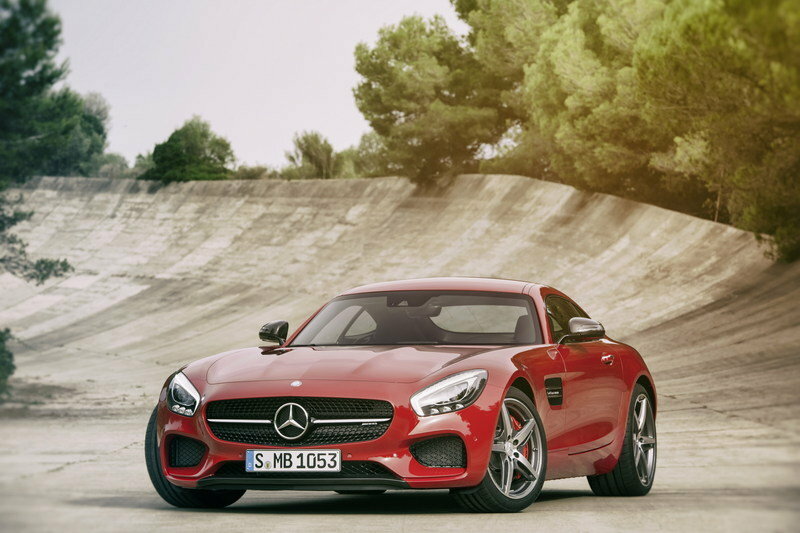 First introduced on the AMG GT sports car, it’s wider than the usual Mercedes grille and includes a thick horizontal slat at the center, a big tri-star emblem, and the company’s already familiar diamond grille. The headlamps are new and seem to feature a simpler design. While the current model has sweptback lamps that are shaped around the grille at the inner edges, the new headlamps are almost rectangular and don’t extend as much into the fenders at the top. The heavy camo on the bumper prevents us from spotting the changes, but look for large, aggressive looking side vents and a two-tier intake just under the grille. It doesn’t appear as if the profile view changed too much, but there are a few interesting details to look for. First up, there’s a new character line on the lower doors that goes upward toward the rear wheel arches. The rear door windows have also been revised, while the C-pillar is completely new. Whereas the current pillar is straight and form a 45-degree angle with the beltline, the new element is more rounded and descends smoother onto the rear fenders. It also seems that Mercedes redesigned the quarter windows, but the camouflage is again in the way and its shape remains a mystery. The rear fascia is almost entirely camouflaged so there isn’t much to see, but I can spot new taillights under the wraps. And what I can tell for sure is that they are slimmer and sportier looking than the current units. 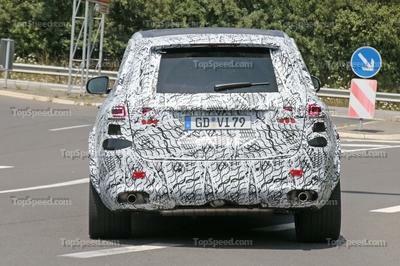 The tailgate and the bumper were reshaped as well, but the diffuser we see on most AMG SUVs seems to be missing. That’s not to say that the GLE63 won’t have one though. Most likely this is an early development of the model and certain elements are still missing. The diffuser is one of them, as are the quad-exhaust pipe configuration. We should get more spy shots this year, so make sure you stick around for updates. Mercedes-AMG E63 interior shown here. Much like the previous GLE shared many styling cues with the E-Class sedan, the new SUV should borrow many features from the four-door. Granted, the cabin layout won’t be identical, but just like the sedan, the GLE will get a healthy dose of S-Class inside. Look for a clean dashboard design with round A/C vents at each corner, as well as the four-piece A/C layout just above the center console. On top of that, the SUV will carry a large infotainment display measuring 12.3 inches. In front of the driver we should find a sports, flat-bottom steering in black leather, complimented by electroplated shift paddles, a bezel with the “AMG” logo. Behind the steering wheel, there should be a large, 12.3-inch all-digital instrument cluster with plenty of configurable features. 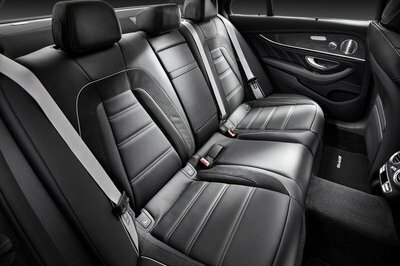 The SUV should also feature sporty front seats with improved lateral support and black Nappa leather and Dinamica microfiber upholstery as standard. Options should include Nut Brown Nappa leather or Macchiato Nappa leather. Customers in need of more lateral support will have the option to select the AMG Performance seats with integral head restraints. 2017 Merecedes-Amg E63 interior shown here. The more expensive and powerful GLE63 S will sport additional standard features such as Nappa leather on the dashboard and belt lines, sport steering wheel with a 12 o’clock marking and contrast topstitching, and an AMG crest in the front head restraints. Aluminum trim should be standard in both versions, but carbon-fiber inserts or glass-fiber elements in matte silver will also be offered. The big question here is whether the GLE63 will get the AMG Track Pace app that comes with the AMG E63 sedan. This app enables drivers to analyze and improve their track driving style as well as share their performance with other AMG drivers via Facebook, YouTube and other platforms. Granted, you won’t take an SUV to the track too often, but it wouldn’t hurt to have it ready for that special weekend at the Nurburgring. The current GLE63 is powered by the familiar twin-turbo, 5.5-liter V-8 engine, but you’d better forget about it for the new model. 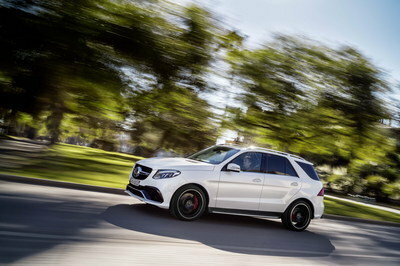 Instead, the SUV will get the newer 4.0-liter V-8 that already motivates most AMG cars and crossovers. Output is likely to be identical to the sedan, so look for the GLE63 to arrive with 563 horsepower and 553 pound-feet of torque, which accounts for a 13-horsepower and 47-pound-feet increase over the outgoing model. It might not sound like much, but combined with the lighter architecture, it should lead to significant improvements performance-wise. Look for the 0-to-60 mph sprint to drop from 4.3 to around 41 seconds. Top speed should remain locked at 155 mph though. 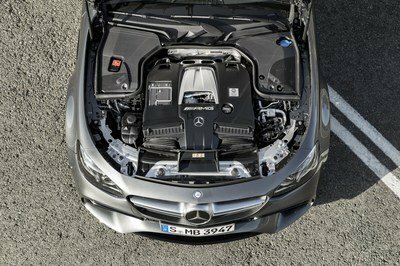 Engine from 2017 Mercedes-Amg E63 S shown here. Moving over to the E63 S variant, it should come with 603 horses and a whopping 627 pound-feet of twist, a 26-horsepower and 66-pound-feet increase over the current version. Sprinting from 0 to 60 mph should take around four seconds, versus 4.2 in the old model. Top speed should also remain limited at 155 mph, but this model will have limiter delete option that should increase it to around 177 mph. The new GLE63 won’t be just about horsepower and torque. The SUV will also have cylinder deactivation, with cylinders two, three, five, and eight deactivated in the partial-load range. This will lower fuel consumption in the “Comfort” transmission drive program. Both the base and S models will use the AMG Performance 4MATIC+ all-wheel drive system with a fully variable torque distribution on the front and rear axles for optimum traction. 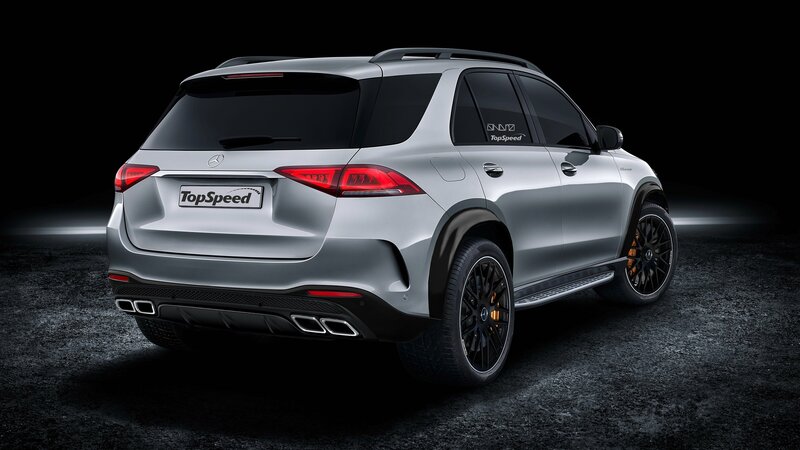 An AMG SPEEDSHIFT nine-speed sport transmission specially tuned for the new SUV will route all that power to the wheels. However, don’t expect the SUV to feature the sedan’s Drift Mode. Pricing information is obviously not yet available, but it’s safe to assume that the upcoming GLE63 will a tad more expensive than the outgoing model. With the current SUV priced from $102,550, the next-generation GLE63 should retail from around $108,000. Pricing for the GLE63 S model should increase from $109,700 to around $118,000. The GLE63’s traditional competitor in this niche, the X5 M is one hot SUV. Although it’s scheduled to get a big update in 2018, the current X5 M is no slouch. Powered by a twin-turbo, 4.4-liter V-8 rated at 567 horsepower and 553 pound-feet of torque, the hauler needs only four seconds to hit 60 mph from a standing start, making it almost as quick as the M4. 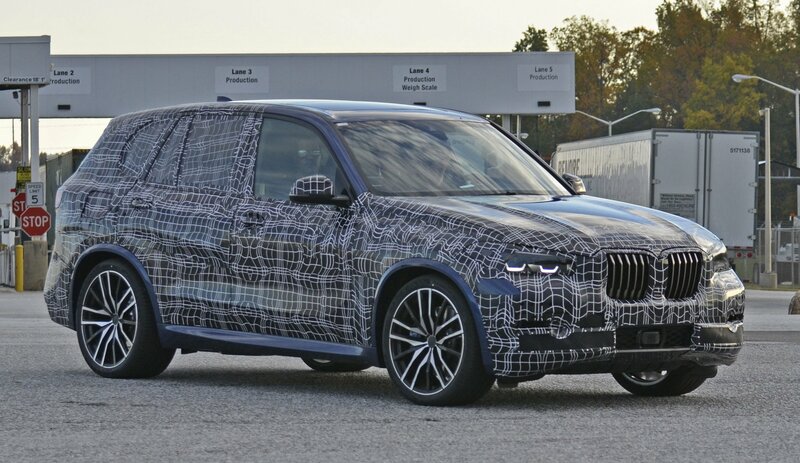 With the next-gen model, rumored to have at least 600 horsepower, the X5 M should be faster than that, which will also make it quicker than the Mercedes-AMG. 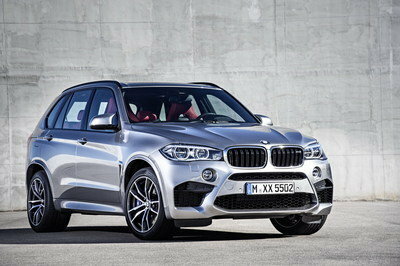 Already a menacing vehicle to look at, the upcoming X5 M should be at least as aggressive styling-wise. The cabin should be packed with the latest tech, and if other Bimmers are any indication, the X5 M should be at least on par with the GLE63. Pricing for the current X5 M starts from $100,700, but the sticker should jump to nearly $110,000 with the next-generation model. Read our review of the BMW X5 M.
The Cayenne Turbo is another SUV you need to consider if you’re in the market for a high-performance hauler. Updated most recently for the 2015 model year, the Cayenne is equally impressive in Turbo guise. Powered by a twin-turbo, 4.8-liter V-8, the “base” model comes with 520 horsepower and 550 pound-feet of torque, which enables it to reach 60 mph in a scant 4.2 seconds. As you can see, it’s the least powerful in this group, but it’s just as quick. Opt for the Turbo S model and the V-8’s output jumps to 570 horsepower and 590 pound-feet of torque. Again, not as much as the upcoming GLE63 S, but the Turbo S is definitely the quickest with a 0-to-60 mph sprint of only 3.8 seconds. What’s more, the 2018 update should bring more oomph and quicker 0-to-60 sprints. Hard to beat on the performance front, the Porsche Cayenne Turbo comes with one downside: it’s significantly more expensive. While the Turbo retails from $118,100, the Turbo S fetches $161,600 before options. Read our review of the Porsche Cayenne Turbo. Just like the new E-Class, the upcoming GLE should feature significant improvements in all department. 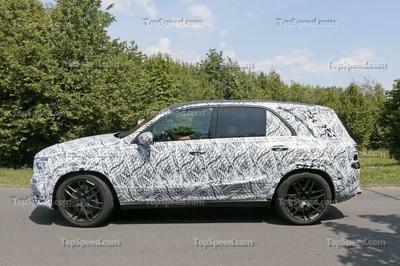 With revised looks, new tech, and even a semi-autonomous function, the GLE will be on par with the redesigned BMW X5. 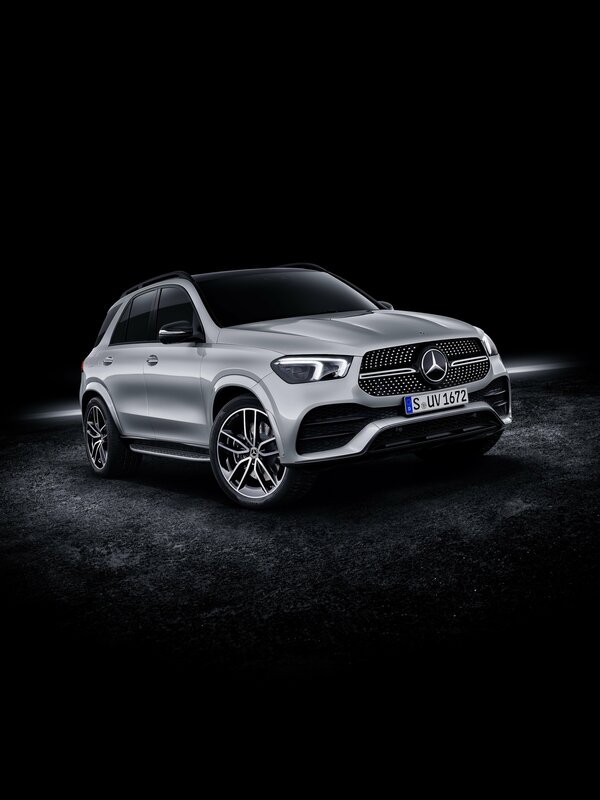 The same should be available for the AMG GLE63, which will boast revised aerodynamics and a brand-new engine with the best performance available on the market. 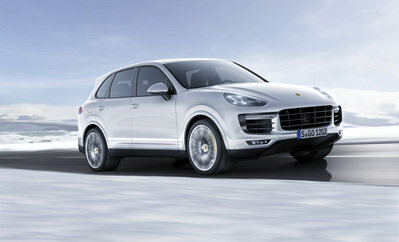 Okay, so maybe it won’t be as quick as the Cayenne Turbo S, but it will definitely have the most horsepower and torque. Read our full speculative review on the 2018 Mercedes-Benz GLE. Read our full review on the current, 2017 Mercedes-AMG GLE63. When Mercedes decided to switch up its naming protocols for its model lineup, things got a little confusing, especially for models that received a new model designation as part of a mid-cycle facelift. 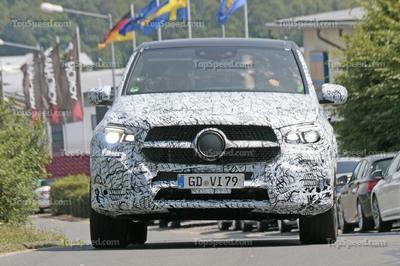 And that explains why we’re looking at spy shots of the next-gen GLE-Class despite the fact that the model technically made its world debut for 2016. The first GLE models are soon to be forgotten about as Mercedes is busy prepping and testing an all-new generation to go with the new GLE nomenclature. 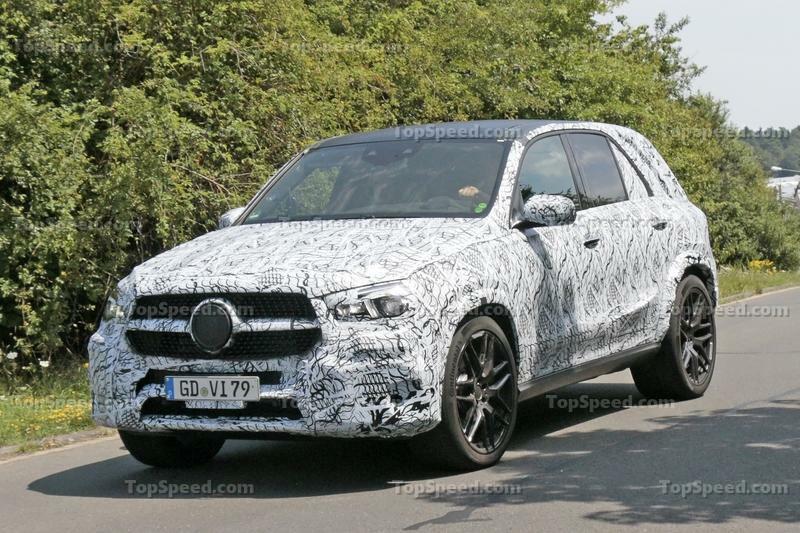 At this point, the test mule that we believe to be the next-gen GLE is covered pretty heavily in camo and padding. 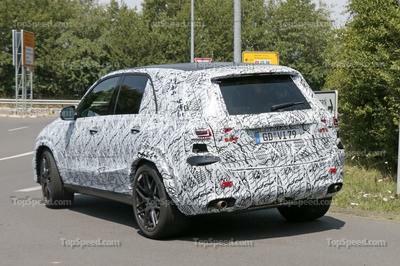 While this makes it hard for us to determine what kind of changes to expect, the sheer amount of coverings in certain areas tells us that there will likely be some significant change – enough change that the GLE will finally become its own model and not just a rebadged ML. We expect to see a number of changes up front and in the rear, but the side profile will likely change very little. Furthermore, Mercedes may throw a couple new or revamped engines into the equation to give things an even fresher taste. Update 03/14/2017: The Mercedes GLE was caught testing in the wild once again, this time wearing a more official front fascia and grille. We also get a first look at the revised interior, so check out our special updates in the exterior and interior sections below to learn all about it. Continue reading to learn more about the next generation Mercedes GLE. Lumma Design has made quite a name for itself by developing aftermarket programs for premium SUVs in the market. Over the past few years, we’ve seen the German tuner work on models like the BMW X6 and X6 M, Range Rover Sport, and Jaguar F-Pace. 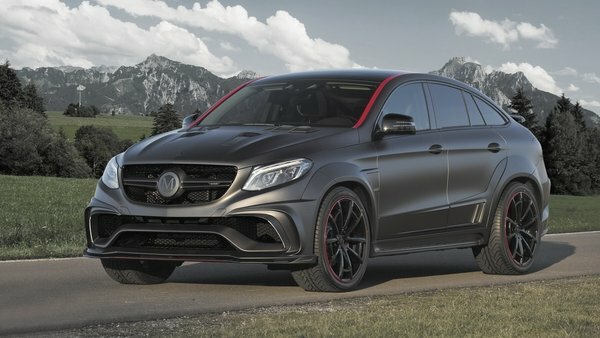 It’s an impressive list that just got a little more impressive with the presentation of Lumma’s new tuning kit for the Mercedes GLE Coupe that features an extensive list of upgrades on the coupe SUV, including power enhancements that give the GLE Coupe – in this instance, the 450 AMG – an impressive output of 449 horsepower and 475 pound-feet of torque. Some of you might think that the power gains aren’t all that impressive since the GLE family has AMG variants, including the AMG GLE 63. You’d be right in a sense, but it also doesn’t paint the full picture of the versatility of this particular model and how Mercedes was able to create a lineup of GLE Coupes that differentiate themselves effectively from one another. The GLE 450 AMG Coupe for example slots in quite nicely as an entry level AMG model that’s best offered for customers who aren’t too keen on going the full performance route with the AMG GLE 63. In fact, Lumma’s CLR G800 program for the 450 AMG is able to bridge that power and performance gap between the two variants, ensuring that owners of the lower rung GLE Coupe can have their cake and eat them too. It may not get all the way there as the AMG GLE 63 Coupe still packs 557 horsepower, but at least it’s in the ballpark. Add all the cosmetic and aerodynamic enhancements that are also included in the CLR G800 kit and you get a program that’s actually quite appealing for owners of the GLE 450 AMG Coupe. 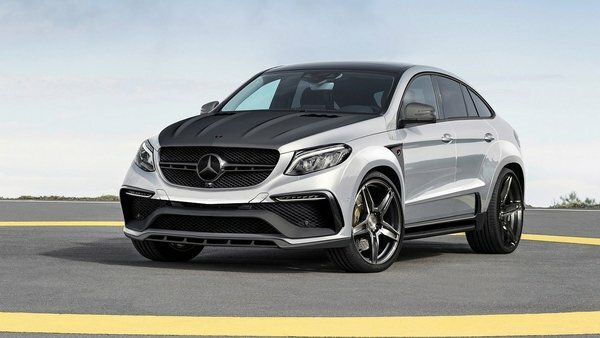 Continue after the jump to read more about the Mercedes GLE 450 AMG Coupe CLR G800 by Lumma Design. The Mercedes GLE Coupe may very well be the most appealing model Mercedes has in its lineup (at least in my eyes that is), but even that doesn’t exempt it from getting some aftermarket love. That’s precisely the case here as German tuner Chromatic, known for its tuning programs for Mercedes models, has presented its aftermarket take on the GLE Coupe 350d. The result, among other things, is an increased output of 300 horsepower and 516 pound-feet of torque. In addition to the work Chrometec put into the GLE’s 3.0-liter V-6 diesel engine, the tuner is also offering plenty of chrome and carbon options for the SUV’s exterior. Customers can opt to have certain panels of the GLE finished in either chrome or carbon to add to the appeal of the vehicle. A new rear spoiler is also available, as is a set of wheels from wheel specialist Concave. Those things count for something, especially when you’re dealing with a vehicle that still has that figurative “new car smell” label attached to it. The Mercedes-AMG GLE 63 has arguably had one of the most eventful few months of any model in the aftermarket business. In the span of four months, we’ve seen a handful of high-profile tuning firms release programs for the high-performance coupe-SUV. Brabus was the first to do it at the 2015 Dubai Motor Show. 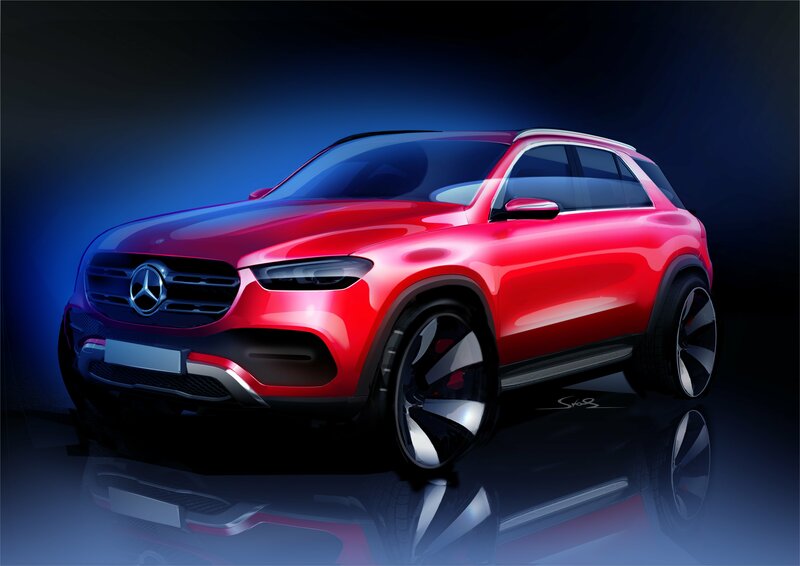 Wheelsandmore followed suit in December 2015 and then, at the 2016 Geneva Motor Show, we saw two more tuning firms present their own kits for the AMG GLE 63. One was Russian tuner TopCar. The other comes from its German counterpart, Mansory. Yes, Mansory had a huge presence at Geneva and, while its most outlandish work was reserved for the 4XX Siracusa 488 GTB, this kit for the AMG GLE 63 is arguably the one that’s going to get the most mileage because of the popularity of the model it’s based on. The reality is that while we’ve been flooded with new kits for the AMG GLE 63, there still aren’t that many to choose from. This particular kit isn’t as flamboyant as some of Mansory’s previous works, but it’s still bodacious enough to get the attention it deserves. 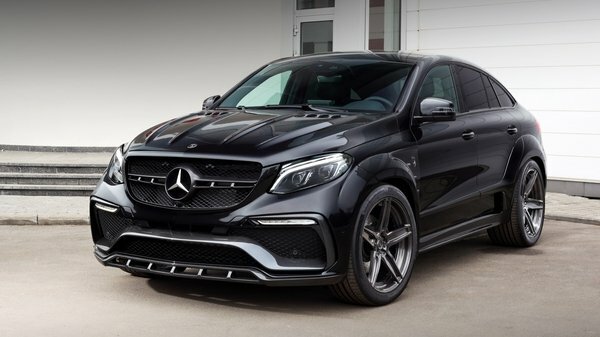 The German tuner once again relied on its tried-and-true formula of providing upgrades to the vehicle’s exterior, interior, and engine, adding enough on each section to make it stand out compared to the standard AMG GLE 63, or any other tuning program that’s out on the market today. Continue after the jump to rad the full story. The 2016 Geneva Motor Show is just around the corner and many automakers and aftermarket companies are in the final preparations for their respective displays at the world’s biggest auto show. Russian tuner Topcar has already announced its attendance in Geneva and its plan to bring three models to the show. Two of these models, the Porsche 991 Turbo S Stinger GTR and Porsche Cayenne Vantage, are the latest iterations in a long line of programs bearing the Stinger and Vantage names. 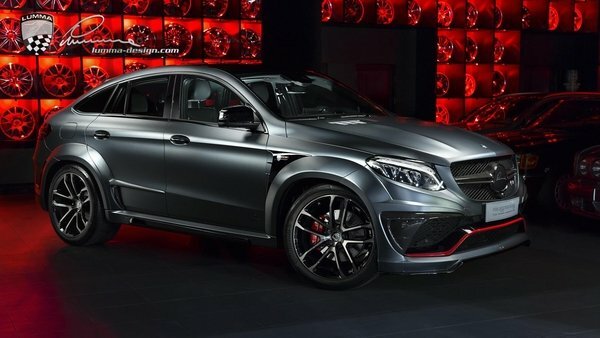 The other one, the Mercedes GLE Coupe Inferno, is new to the family and will make its official debut in Geneva. Like most of its programs, TopCar enhanced the GLE Coupe with a systematic body kit comprised of close to 20 unique components. That’s old hat for a company known to build some pretty exotic kits in the past. But this one’s different, partly because it’s the first kit TopCar has built for the GLE Coupe. The company has made no such announcements on any performance upgrade, but if its history of programs are any indication, expect one to be installed into the GLE Coupe’s engine, likely the more powerful 3.0-liter V-6. I don’t foresee any surprises coming out of TopCar as far as the engine mods are concerned, at least not to the extent of what fellow Mercedes tuner Brabus did when it presented its own GLE program – the Brabus 850 – at the 2015 Geneva Motor Show. In any event, we’re going to learn more about TopCar’s Inferno program when it hits the showcase floor at the 2016 Geneva Motor Show. In the meantime, check out what it did with all those aerodynamic upgrades.